English (Traducir este texto en Español): Careless reef is located 3 miles NNE from Giftun El Kebir island, south of Shaab Umm Qamar. Careless reef is located 3 miles NNE from Giftun El Kebir island, south of Shaab Umm Qamar. 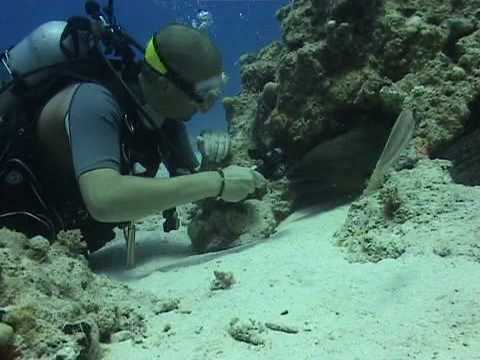 English (Traducir este texto en Español): Carless Reef is the most famous coral shoal in the coastal area of Hurghada. This dive site is situated one hour of Hurghada, it is a mid sea reef plateau pushing up from the Abyss. Large gorgonians, pushing black corals, coral fish and moray eels (large population of semi-tame moray eels), and some white tip sharks. - Lot of action in the blue, one the places were you still see sharks near Hurghada. Free swimming moray eels on the plateau side. many times turtles close to the surface.